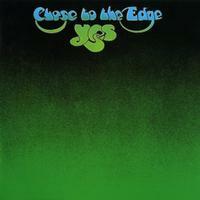 The first in a series of definitive editions of classic Yes albums! When Yes, the definitive English progressive rock band, entered the studio with Eddie Offord to record the band's fifth studio album in mid-1972, their second with this lineup, the band was on something of a roll. Fragile, the band's previous album, had taken Yes to a new level of international popularity with Top 10 chart placement on both sides of the Atlantic & yielding a hit single in the USA with "Roundabout." The band was now established in the major music markets to an extent that was, perhaps, unexpected given the complexity of the music Yes performed. But with that popularity came a confidence that the expansive material of the two previous albums could be taken a stage further with the new recording. Rather than consolidating, Yes chose to innovate. Recorded during lengthy sessions at London's Advision Studios, Close to the Edge is that rarity in recorded music, the sound of a band and its individual members writing, playing and recording at the peak of their collective abilities. The album was released in autumn 1972, reaching chart highs and platinum sales status of 4 in the U.K., 3 in the U.S.A. and No. 1 in Holland, although such statistics only hint at the worldwide popularity of the album over a period of more than four decades. The three pieces of music, the title track that spanned the entire first side of the vinyl album with "And You And I" and "Siberian Khatru" on side two, have remained concert favorites since the release, with the 2013 Yes lineup currently in the middle of a world tour stretching into the middle of next year that performs the album in its entirety. The album remains the favorite among many of the band's legion of fans, a defining recording both for the band and for the progresssive rock movement. It is also one of the most successful British rock albums ever released. Steven Wilson has done it yet again. I cannot believe the INCREDIBLE difference from past editions. It's truly amazing, and it includes an OUTSTANDING 5.1 mix, as well as different stereo versions. It sounds like a new, fresh recording by the band, that's how amazing this is. The detail and separation of instruments is nothing short of astounding and astonishing. Stay away from Audio Fidelity's SACDs they have NO idea how to actually improve on what has been released in the past. All they do is copy old recordings without improving them in the least. "Steven Wilson" ---- a name you can trust. Buy it, you will NOT be disappointed.